I will be teaching at The Shard on Saturday 27th September 2014, assisted by Jasmine Pradhan. The class itself lasts an hour and will start at 8:30am but please check in by 8.15am. All mats are provided and you will be given additional time after the class to make the most of the views. Price: £40 advanced booking only. Click here to reserve your space. The View from the Shard is just outside London Bridge tube/ train station. The entrance is on Joiner Street, just off St Thomas' Street. From the upper concourse, take the escalator beside The Shard down to Joiner Street. 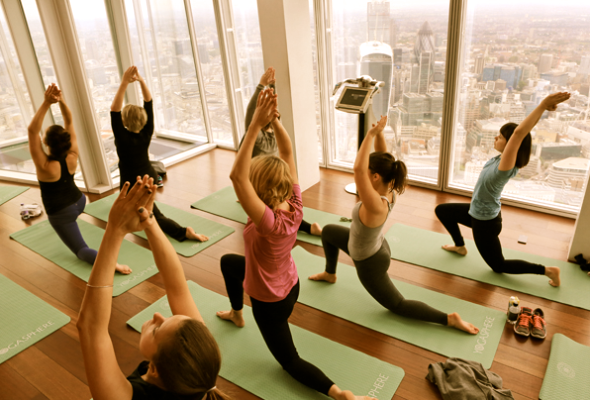 Southbank Centre Yoga with a View is back!